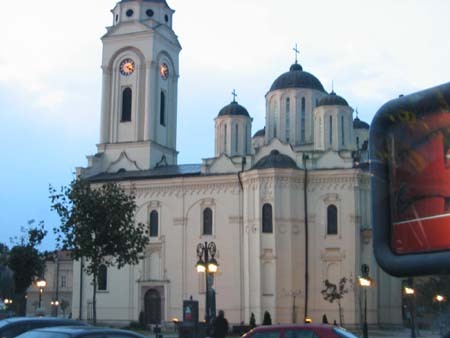 From Pozarevac we drove to Smederevo on the same cold day in Autumn 2006. It took us around 30 minutes from Pozarevac to Smederevo and the first thing you will see if you enter the city from that direction is the gigantic steel factory. This huge factory, once know as Sartid, was purchased by U.S. steel in 2003. Some 8000 people are working in this factory and you can see the influence of this steel factory throughout the whole city. Railroad tracks with U.S. steel trains, sponsored activities and some kind of recreational facilities are also owned by this company. Smederevo has around 80.000 inhabitants but it looks bigger. Maybe because of the steel factory, or because of the very impressive fortress. It is not only the size of this fortress but also the high towers which make it impressive. 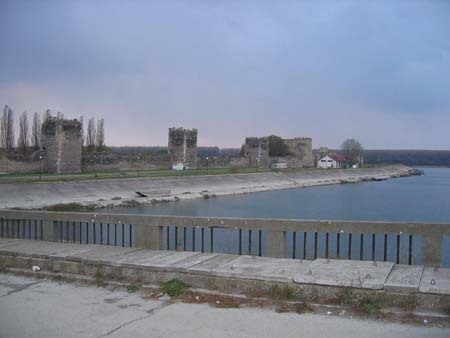 The official construction date of this fortress is 1430, but that is quite obvious if you look at the coat of arms of Smederevo. Construction started a little bit earlier and later on additional buildings and walls were constructed but it started playing it's important role in history in 1430. 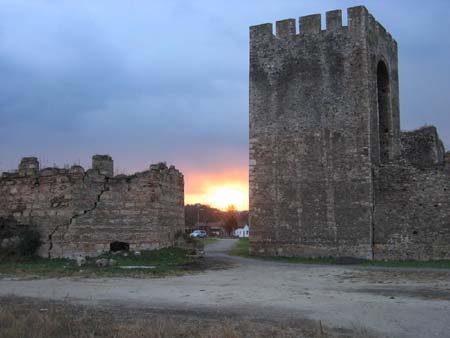 Although all the Hungarian - Ottoman conflicts the fortress was preserved very well until 1941. The Germans used it for ammunition storage and in a devistating explosion the whole storage exploded. Huge loss of life and as a result more damage to the fortress than all the centuries of battle could do to it. 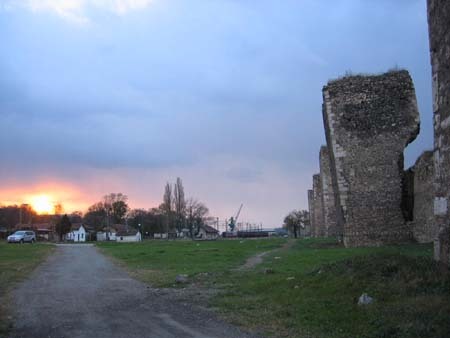 Just look at these pictures to get an impression of how Smederevo fortress once looked. A mighty fortress on the banks of the river Danube (Donau). We would have stayed longer to explore the whole 10 hectares of the fortress but it was too cold and it also started to snow. We will go back when it's warmer because it is definately worth another visit. We also want to check out the pedestrian shopping zone in the center of the city. It looked nice but again, too cold that afternoon. It also explains the lousy picture of this church. I took it while waiting for a traffic light, before I could get the whole church in focus the light was green, sorry. 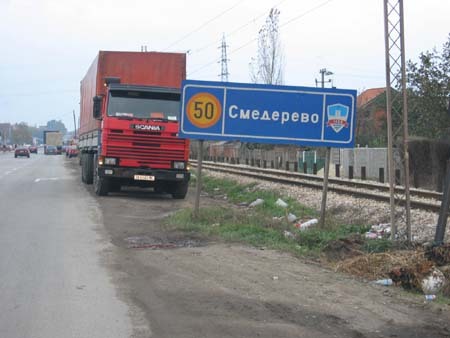 You can drive back to Belgrade by highway, but we suggest to take the provincial road next to the Danube. Enjoy the hills with the wine yards and around every corner you see the Danube in a different perspective. 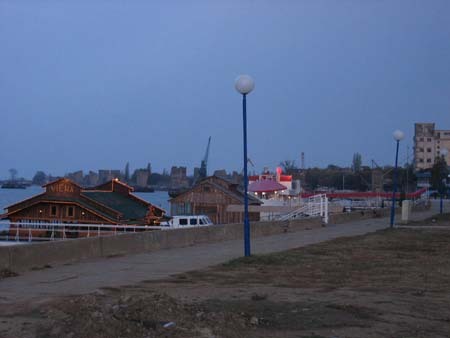 Just drive straight through Smederevo to the other side where you find these floating restaurants. Eat some river fish here and after this it's around one hour driving to Belgrade on this small road.